Oklahoma City wine bars are the taverns and restaurants that feature the best and largest selection of wines. So if you're a wine-lover dining out in the metro, here are a few of the top Oklahoma City wine bars, the specialists in wine variety and quality. 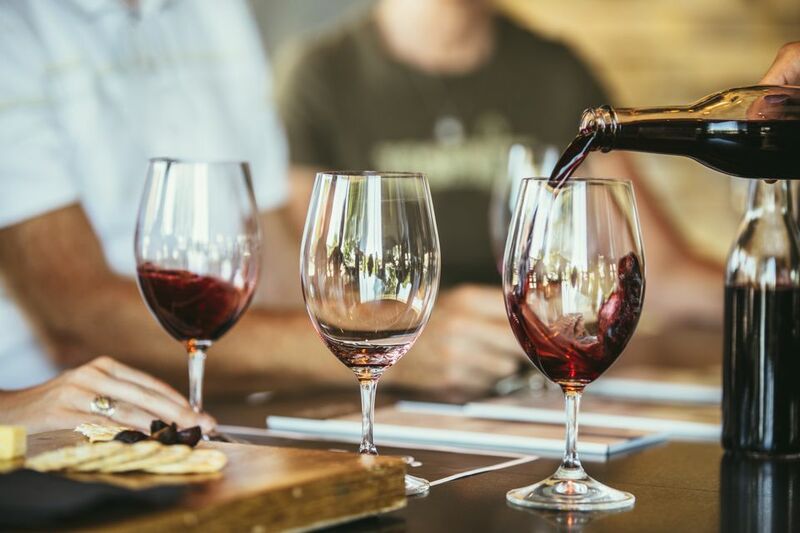 Oklahoma City's Bricktown district has a number of excellent restaurants, but if you're looking specifically for wine, there might not be a better place in that popular area than the Mantel. Cornell University's hotel administration team named the Mantel one of the country's best "Gourmet" restaurants. With a quiet, elegant atmosphere, the Mantel has over a 100 fine wines. When the telephone number spells out W-I-N-E, you might be onto something. The Metro Wine Bar & Bistro in northwest Oklahoma City is a wine-lover's paradise. In addition to fantastic food and a comfortable, classy ambiance, the Metro features over 400 wines and is no stranger to awards from Wine Spectator magazine. Boulevard Steakhouse in Edmond, a restaurant that features one of, if not the, best steaks in the Oklahoma City area, has been the recipient of Wine Spectator Magazine's "Award of Excellence" many, many times. The wine list includes an amazing 600 labels. Located at the popular Red Prime Steakhouse in Oklahoma City's Automobile Alley, the Red Bar is one of the best spots for wine in the metro. The bar itself actually glows red, and the red lights above help display the huge wine wall that houses over 300 selections. If Boulevard Steakhouse above doesn't have the best steak in Oklahoma City, it might just be at the Ranch Steakhouse in northwest OKC. But the restaurant's wine list might just rival their steak in quality. Ranch Steakhouse was recently awarded a Wine Spectator "Award of Excellence." Located on May, just south of Hefner, Papa Dio's is another Wine Spectator "Award of Excellence" recipient in Oklahoma City. The family-owned Italian restaurant has both a casual family side and a fine dining wine bar side with a horseshoe-shaped bar. Papa Dio's also features wine tastings and dinners just for the wine-lovers. Another Oklahoma City steakhouse that has earned honors for wine from Wine Spectator Magazine, Opus Prime on Memorial near Quail Springs Mall has an incredibly impressive wine list, many of which are displayed along the wall by the bar. I'm a big fan of both the food and the service at Rococo. As for the wine, the head chef takes great pride in pairing a selection from the large wine list with your food. Located within the restored, historic Skirvin Hilton hotel, one of the best in OKC, Park Avenue Grill is a fine dining experience with an extensive wine list that features selections from all over the world. Flip's Wine Bar & Trattoria near NW 63rd has long been an Oklahoma City favorite for a casual, comfortable happy hour drink. Along with the unique, quality Italian food, choose from a wine list of over 200.